Upcoming events: Complexity for breakfast! Are you being confronted with complex situations? Do you work together with other organisations? Do you want to share insights on complexity with a group of diverse professionals? Do you want to analyse your current challenges in regards to your situation? Get introduced to the newest Perspectivity tool: the Perspectivity Transformation Tangram. The tangram enables you to discuss major topics relating to complexity. Discover the opportunities and consequences for your professional situation. Join us at one of our stops of our Breakfast Road Trip. We invite you to take part in these sessions. 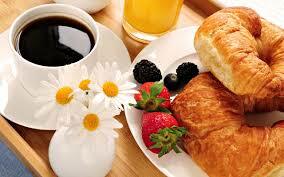 The breakfast sessions are a new initiative of Perspectivity. At this moment there are no costs attached to it, so grab your chance now. Wednesday 1 June in Amsterdam.